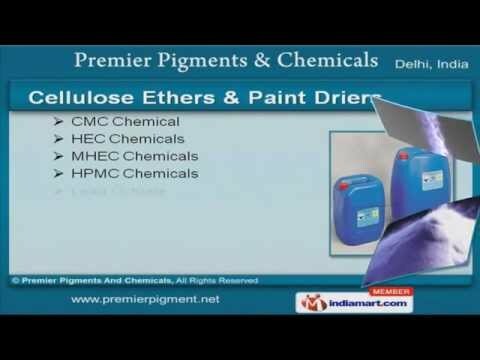 Welcome to Premier Pigments & Chemicals. Exporter & Distributer of Pigments, Dyes & EmulsionsThe company was established in the year 1991. Our well maintained distribution network & State-of-the-art infrastructure facility make us stand apart from also-rans. Easy payment modes, Competitive prices & Timely deliveries make us the first choice of our clients. We offer a splendid range of Organic, Inorganic & Pearl Pigments. Our Styrene & Pure Acrylics are best in the industry amongst others. We also provide CMC, HEC & HPMC Chemicals that are extremely reliable. Organic, Inorganic & Pearl Pigments offered by us are widely acclaimed in the market. We offer Paint Additives & Phthalocyanine Pigments that are cost effective. Along with that we offer Pigment Paste & Re Dispersible Powder Chemicals that are a class apart.